You are here: Home / abortion / #233 – CRIMINALIZING ABORTION IN SOUTH CAROLINA? Listen-in on this discussion on the newest episode of Apologia Radio. 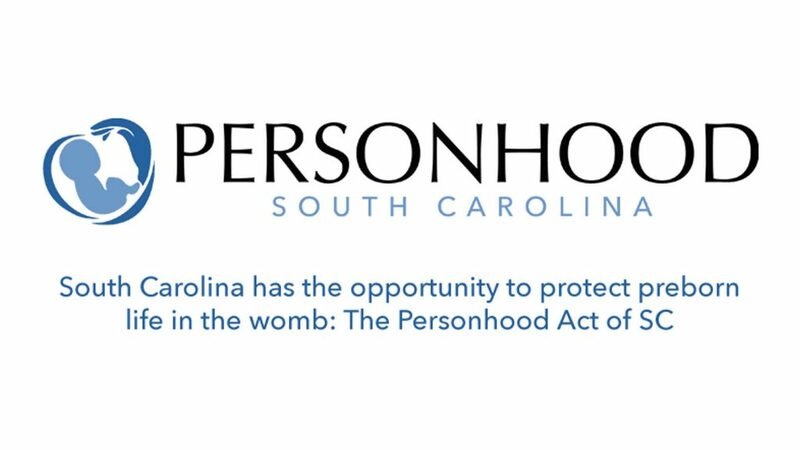 We interview Dr. Matthew Clark with Personhood South Carolina about the recent attempt to put forth legislation that would recognize the humanity of a person at conception and give them all the legal protections afforded to born human beings. There is a lot of controversy surrounding this bill (by people on all sides). There are those on the Left that reject the notion that human beings ought to be protected in the womb and seen as humans. There are those on our side that question whether or not this bill goes far enough. We had him on to discuss the bill. Note: We believe that it is necessary to fight against abortion with a consistent Christian witness. We want legislation that criminalizes abortion and recognizes the image of God and humanity of every person from conception. We want legislation that is strong enough and consistent enough to enforce and that would give just penalties to anyone engaging in the practice. We see this bill as consistent in the area of recognizing the humanity of a person at conception and therefore is not in the same category of the failed legislation of the Pro-life community in terms of incrementalism (cleaner abortion facilities, heartbeat bills, pain capable, etc.). We also give you a bonus track from our recent discussion with Dr. Ben Merkle and Rebbeca Merkle. It’ll bless your socks off. Married couples are encouraged to listen and get challenged.